Note: Autobiography of the Scottish TV scriptwriter Robert Banks Stewart, best known to Doctor Who fans as the writer of the classic Tom Baker stories Terror of the Zygons and The Seeds of Doom. 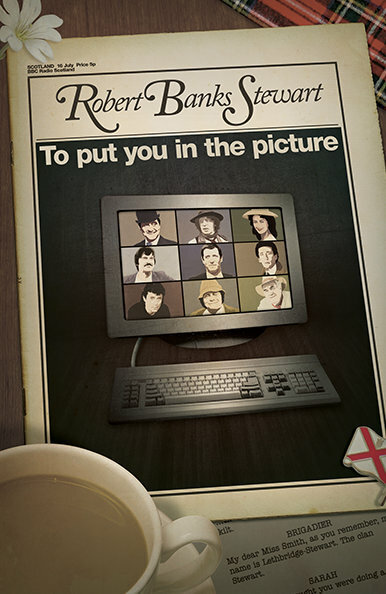 The memoir of Robert Banks Stewart, one of Britain's most legendary television writer/producers, whose career has spanned five decades. Viewers who have watched television and its development over this period — including viewers of today — will be hugely entertained by this splendid autobiography. The author has penned a host of behind-the-scenes anecdotes, most of them hitherto untold, plus descriptions of his considerable work experiences with refreshing candour (successes and failures) and delightful humour. Credited with breaking the mould of early UK thriller dramas with ground-breaking series like Shoestring and Bergerac, he purposely set them away from the usual easy, endlessly grim metropolitan street backgrounds derived from BBC Radio, instead exploiting different locations — like the West Country and the Channel Island of Jersey. He also cleverly cast new actors such as John Nettles, Trevor Eve, Greta Scaachi and Catherine Zeta-Jones, rather than established stars, whilst also featuring film veterans like Terence Alexander and Michael Medwin in regular roles. Writing, adapting and producing — with what was called 'the touch' — Robert Banks Stewart was also responsible for many more hit television series, among them the initial productions of The Darling Buds of May and Lovejoy.